There are some people who are born to inspire those around them. Joshua Porter Gunn is one of those people. Born and raised in Saint John, Joshua is a happy-go lucky child, always involved in sports – particularly soccer and hockey. When Josh was five years old, he began experiencing issues with his vision and underwent numerous tests to determine the cause. A year later, he was diagnosed with Neuronal Ceroid Lipofuscinoses, also known as Batten Disease. The rare disorder causes neurological impairment including seizures, dementia, loss of sight and motor skills, as well as the ability to walk, talk and communicate. Although this diagnosis was devastating to the Gunn family, Josh remained positive. He adapted to each new situation with grace, strength and determination. This was perfectly illustrated with Josh’s resolve to keep up one of his favourite activities. He continued to ride his bike, whether it was on his own, riding tandem with a family member or enjoying the therapeutic bike when his balance was compromised. 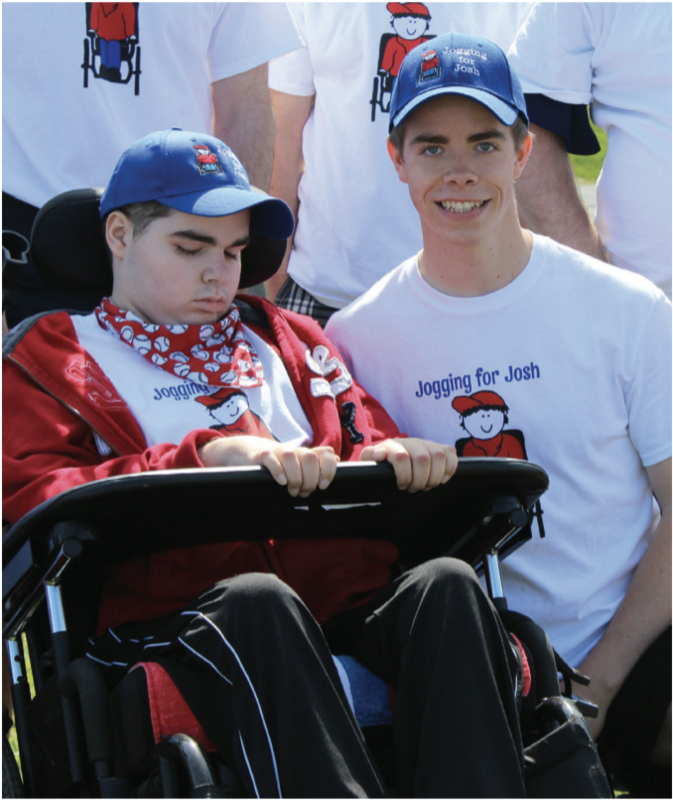 Josh’s passion for life and sport is infectious and continues to inspire his friends and family – especially his brother Tyler. Josh’s love for hockey has motivated Tyler and his teammates to play their best each game and enjoy each moment on the ice. The love and support Josh and his family have received has inspired them to give back to the community in a way that will establish Josh’s legacy and celebrate the bond between these loving brothers. The Gunn family is establishing the Joshua Porter Gunn Bursary Fund for graduating students of St. Malachy’s Memorial High School who embody Josh and Tyler’s passion, dedication, and work ethic. It is their dream that through education and research a cure for this fatal disease will be found. includes the following criteria: financial need, solid academic standing, leadership qualities, involvement in extracurricular and community activities and participation in athletics, particularly minor hockey. Special consideration will be given to those students who express interest in pursuing a career in the health care field. It is hoped that as this fund grows, additional bursaries will be available at other area high schools located within Greater Saint John.